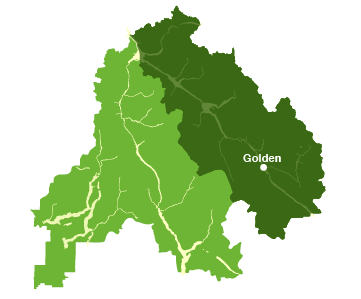 Electoral Area A is the rural area surrounding the Town of Golden and includes unincorporated communities of Parson, Nicholson, Donald and Blaeberry as well as the Town of Field. The area offers a wide range of recreational activities being located in the Glacier Mountains and along the Columbia River including fishing, skiing and hiking. The area spans the Rogers Pass and extends to the Alberta border near Lake Louise along the Trans Canada Highway. The area adjoins the East Kootenay Regional District along Highway 95 just south of Spillimacheen. Interested in seeing the Comments, Observations and Issues Log from the initial community engagement sessions? The log outlines the most pressing issues facing Area A today, as identified by the residents who participated in the 2015 community consultation sessions.